Welcome to Finest Hour Experiences. If you're looking for an unforgettable escapade you've landed in the right place. Take off with a flying lesson in our vintage de Havilland Tiger Moth, where you can fly yourself over the stunning English countryside from the open cockpit of this beautiful biplane. Why not take a leisurely tour along the majestic Thames? Or fly serenely over the architectural wonders of Oxford or the stunning Highclere Castle, home to Downton Abbey. Alternatively you might be tempted with an aerobatic flying lesson in our adrenaline pumping Mudry CAP10, where you'll learn how to loop and roll while seeing the world from a very different angle! "Absolutely amazing. An experience of a lifetime. Thank you so much for curing my phobia of flying especially with the loops". Samantha. "Just wanted to say thank you again. I'm still buzzing off it and definitely going to have another go this summer!! I might even try to make myself do some more of the moves!!! The video is perfect ... it's brought me so much joy this week". Fran. "The best experience of my life!!! So amazing! Great guys also". Jemma. 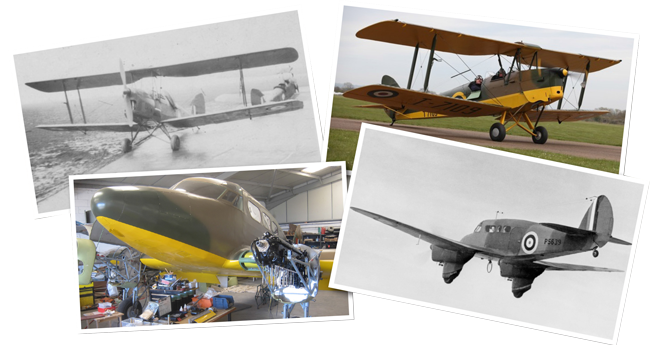 Find out more about the history of our vintage aircraft and what's going on behind the scenes at Finest Hour HQ. Visit our dedicated site by clicking here. Flying from Bicester Heritage in Oxfordshire. See our experiences pages for more details.